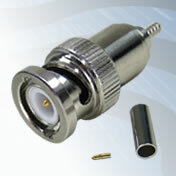 BNC Crimp Plug, Integral Pin, Nickel Plated, PTFE Dielectric, RD316 Brass Body & Coupling Nut. 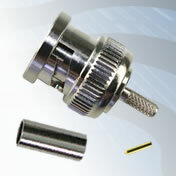 PTFE Dielectric. Three piece assembly version. Integral Contact.